Pfizer Europe has awarded Grass Roots a three-year contract to manage its European international congresses. Grass Roots Eventcom managing director Nick Bender declined to state the value of the contract or number of events involved but said the agency anticipated managing more than 10,000 Pfizer delegates annually. "We will be handling the entire delegate experience including sourcing space at international congresses, accommodation, travel, registration, onsite event management and compliance with pharmaceutical codes of conduct," said Bender. "The delegates will be from throughout Europe and will be Pfizer customers and staff." It is the first time Grass Roots has worked with Pfizer and the agency has 28 staff working full-time on the account, including 12 new recruits. "This is a significant win for us and what is exciting about it is that we won this business on the basis that we had never worked for Pfizer before and we demonstrated best-in-class solutions," said Bender. 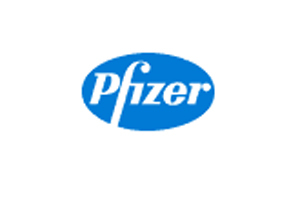 Pfizer European Procurement meeting and congress category lead Andrew Gilkerson was unavailable for comment but C&IT understands that Grass Roots' appointment is a key part of the pharmaceutical company's European event agency consolidation project. Universal Procon told C&IT last week that it had lost the Pfizer account.